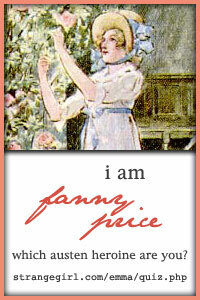 You are Fanny Price of Mansfield Park ! You are quiet, faithful, and moral, but those around you may think you priggish. You love deeply...and jealously.